You may not have heard of it yet, but F45 Training is officially the fastest growing fitness network in the world. F stands for functional and 45 signifies the workout time, 45 minutes. F45 Training is high intensity circuit based group training, with a personal trainer feel. We are not your stock standard gym. 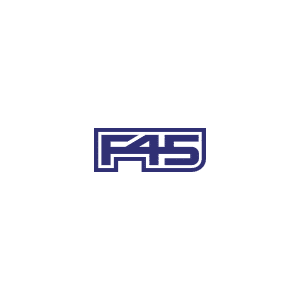 F45 offers premium Team Training in a boutique studio environment. Our facilities are highly systemised and feature integrated technology in the form of video workout demos. These are displayed on 9 TVs around the room, as well as movement, timer and heart rate monitors giving you a true personal training result. Our workouts have all been tried and tested and have proven results around the world. We are renowned for our famous hashtag #teamtraininglifechanging. For anyone who’s interested, we offer a 7-day free trial and a 30 day Introductory special offer.